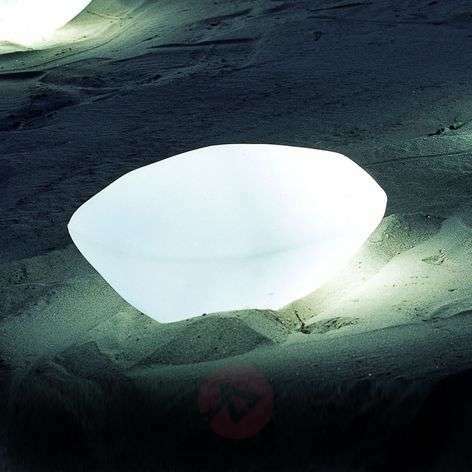 The Stones decorative light has a perfect design based on the natural shape of a stone. It is a very artistic product that acquires its charm from the natural world that it represents. The body of the light is made of white polyethylene and is totally weatherproof thanks to IP65. Whether in the garden, on the terrace or in a large bathroom – Stones will bathe all surroundings in soft, scattered lighting. Light bulb included. 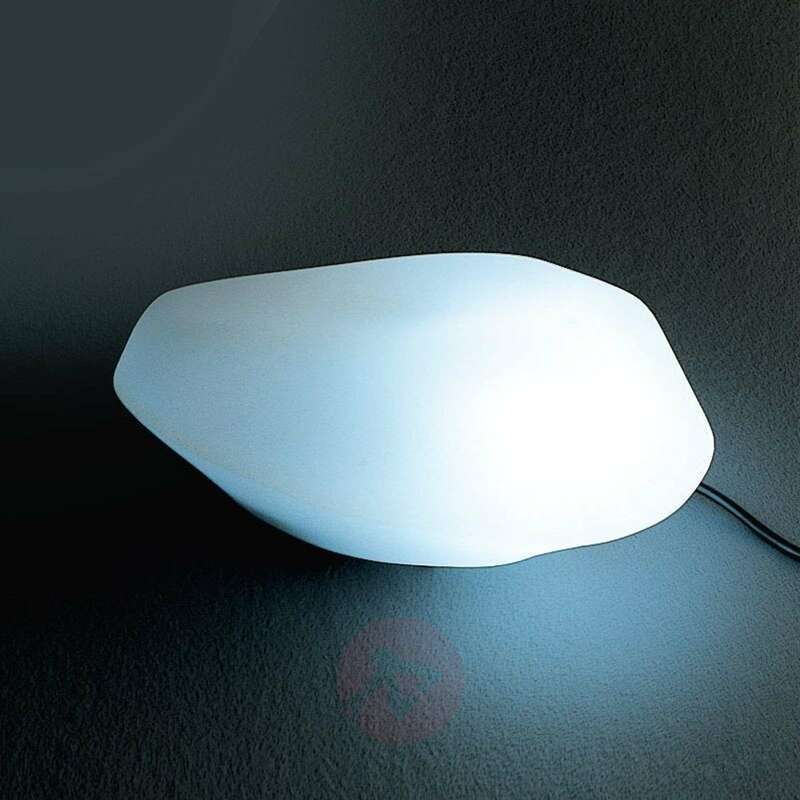 Since it was founded in 1945, the Oluce company has been one of the leading manufacturers of designer lights in Italy. Over recent decades, both Italian and international designers have developed lighting creations for Oluce. Over time these have become true icons of lighting art. 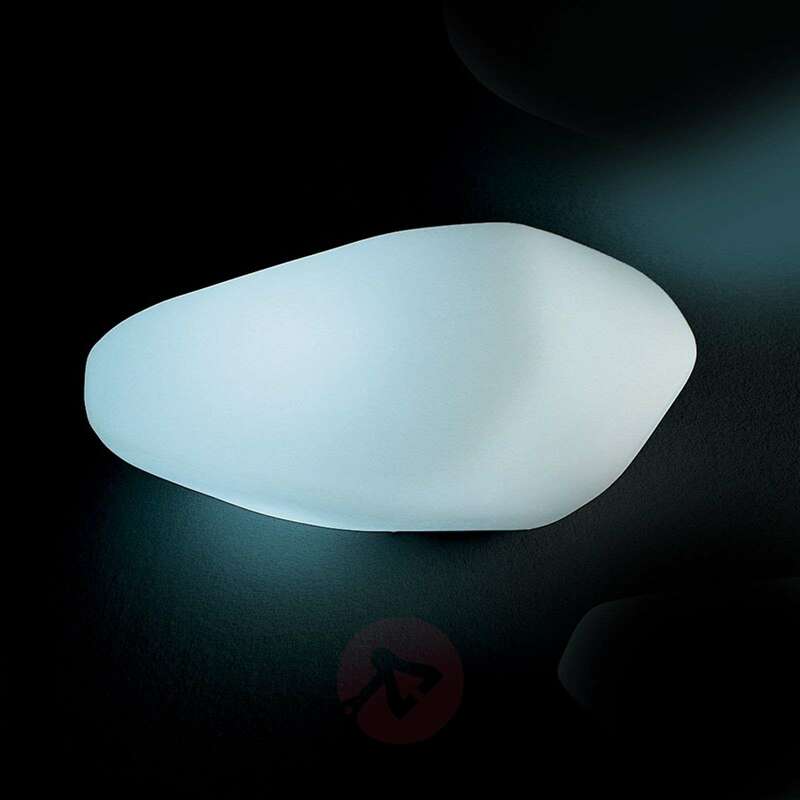 The visually appealing yet functional and efficient lights from Italy are based on the foundation of experience in manufacturing lights and high quality demands when it comes to materials. The designers at Oluce seek to produce a perfect synthesis of form and substance.